Rick Ross and U.S. Veteran Steve Jacobs. 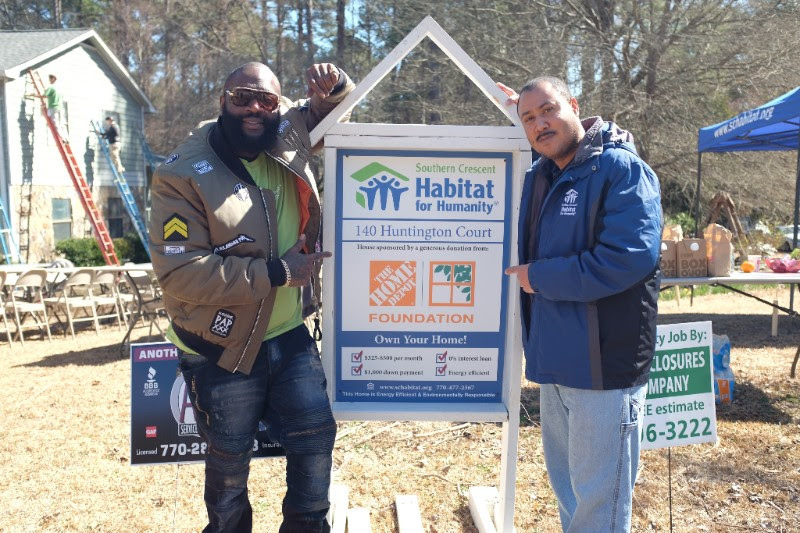 Over the weekend, hip-hop artist Rick Ross made a surprise visit to a Southern Crescent Habitat For Humanity's first Fayette County project in Fayetteville, Ga. 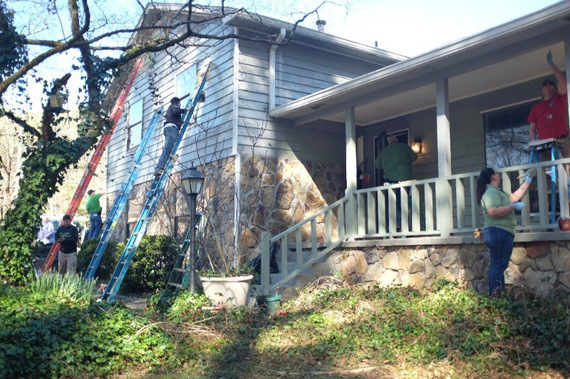 The project was a home repair funded by The Home Depot Foundation for US Veteran, Fayetteville-resident Steve Jacobs. 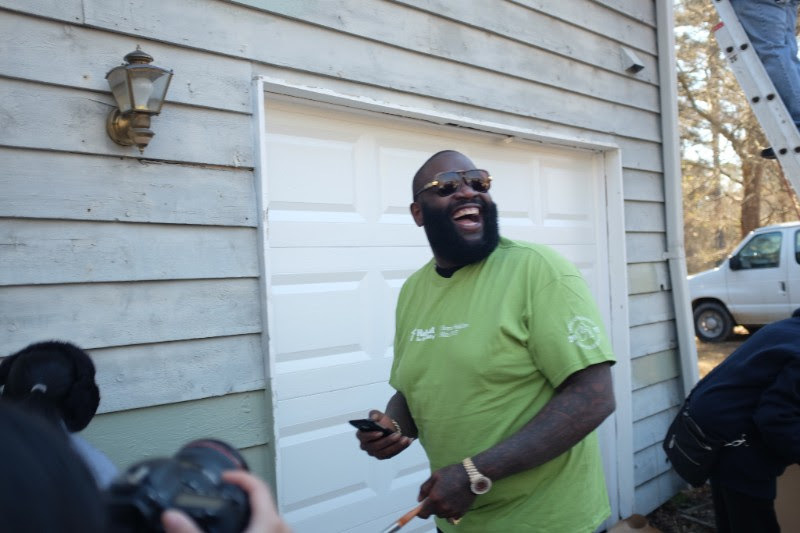 Once Ross arrived, he was greeted by a crowd of volunteers, South Atlanta-Habitat partner families, and Southern Crescent Habitat for Humanity. Southern Crescent Habitat for Humanity (SCHFH) is an organization that helps lower-income families find opportunity, stability, and improve their quality of life by providing homeowner education and partnering with donors and volunteers to construct and to repair existing homes. Ross then was welcomed by Southern Crescent Habitat CEO Kem Kimbrough, City of Fayetteville Mayor Ed Johnson, Fayette County Commissioner David Barlow, City of Fayetteville Manager Ray Gibson, and Tyrone Town Manage Kyle Hood who all officially welcomed Ross into Fayette County and acknowledged his philanthropic interest for the county. The on-site discussion that followed highlighted the need for affordable housing and home repairs in the Fayette County area. Afterward, Ross engaged in conversation with Southern Crescent Habitat's partner families Chatara Brumfield and Retonda Tate who described their life changing experience with Southern Crescent. 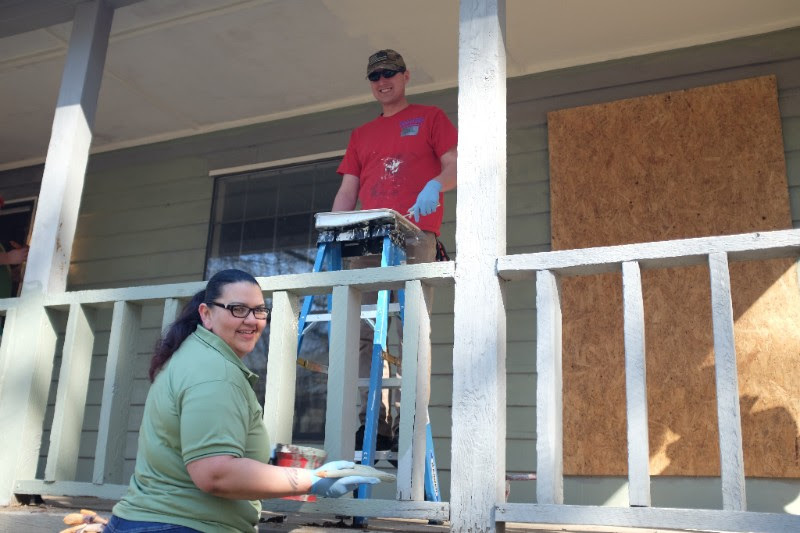 Both families had challenges with other home buying opportunities, but found a fit with Southern Crescent Habitat's home ownership program. Intrigued by the families testimony, Ross pledged, "Anything that I can do, I want to do it." 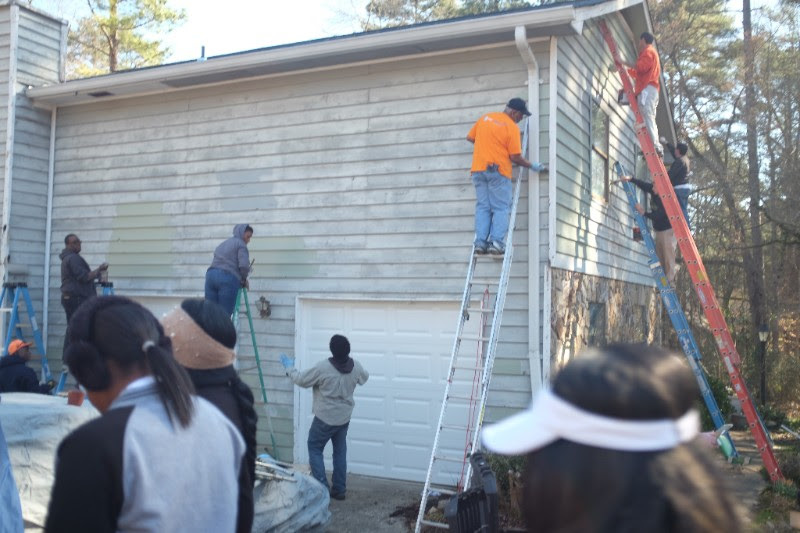 Ross then walked to the build site where forty surprised volunteers from Publix and AT&T Pioneers were assisting with the painting of Jacobs home. Alongside volunteers, Ross grabbed a paint brush and a paint bucket and assisted with the painting. The day concluded with Ross taking photos with the volunteers and ready to move forward with planning his involvement in Fayette County. In addition to Southern Crescent Habitat for Humanity, the award-winning artist is currently involved with community service initiatives in Miami, Memphis and New Orleans. Ross decided to expand his charitable work with Southern Crescent Habitat For Humanity to service the immediate, disadvantaged communities where he lives.